Postcard CA-371352 came from a small reservation in Northern Ontario, Canada. 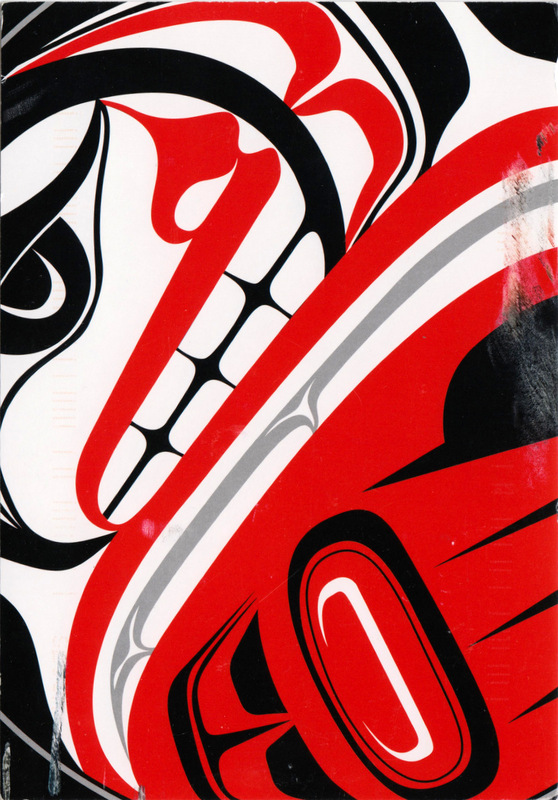 It features a design "Eagle Transforming" by Corey W. Moraes of the Tsimshian First Nation in Canada. The Tsimshian are an indigenous people living along the Pacific Northwest Coast in British Columbia, Canada and Alaska, USA. 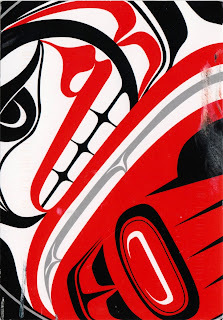 Tsimshian means "Inside the Skeena River." On the postcard, it notes "The spirit in all beings offers guidance as we transform." 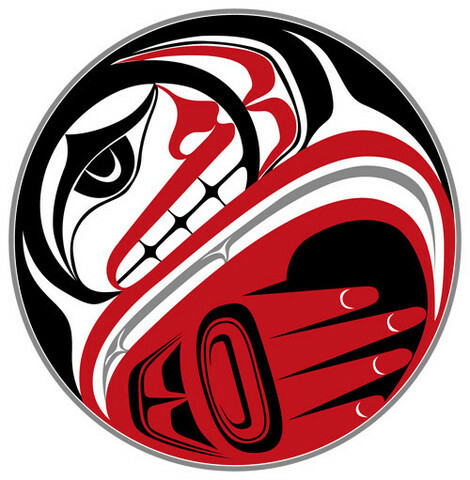 You can also get a "Eagle Transforming" removable tattoo from Canadian Native Products. Corey W. Moraes has a blog called Brain Juice.